If you’re someone who makes money lawfully in this country, it’s safe to assume taxes fall to the bottom of the list of “favorite things.” Ditto with tax season. But as they’re ingrained in the very act of being employed, taxes are a necessary evil. 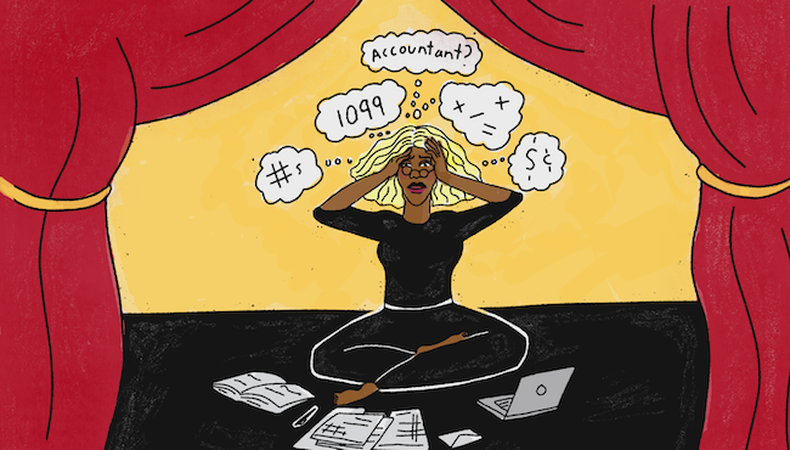 To help make your life a little easier this tax season, we’ve put together an exhaustive guide of everything you need to know about filing taxes as an actor. Hopefully, it’ll make your April a little less...taxing. Do I have to file a tax return as an actor? Do child actors need to file? What do I report on my taxes? What documents do I need to file a tax return? What if I didn’t make a lot of money this year? Do I qualify as a “performing artist”? What deductions can I claim as an actor? How do I avoid getting audited? What happens if I don’t pay taxes? What happens after I file my taxes? How can I make this whole thing easier? In a nutshell, “taxes” is the term to describe the portion of your earnings you’re required to give to the state and federal governments. If you’re a working actor who makes money, you will have to pay taxes on your income. And if you’re an independent contractor (more on that later), you’ll also have to pay self-employment taxes (the Medicare and Social Security taxes all working people pay, otherwise referred to as FICA taxes). To determine whether you have to file a tax return, the best place to start is by checking with the Internal Revenue Service’s interactive tax assistant. By answering a few questions about your annual income, exemptions, and deductions, the tool will help you figure out whether filing is required. In short, if your income is less than or equal to the amount of your exemption and standard deduction, the IRS doesn’t require you to file. In every trade or business, there are certain deductions that can be claimed relating to that trade or business. As acting falls under the category of a trade or business, actors can claim certain deductions associated with their career. Whether you’re a seasoned actor or new to the industry, the deductions you get to claim are the same. So what do you report on your tax return? Any income you’ve earned, whether it’s from a survival job, full-time job, or acting work. You’re also required to report interest income, dividend income, alimony income, Social Security income, distributions from retirement plans, pension and annuity distributions, and income from other sources, such as real estate rental income. If you’re considered an employee by an employer, you should receive a W-2 form. If you’re an independent contractor who’s paid more than $600 during the year, you should receive a Form 1099-MISC. W-2s and Form 1099s are supposed to be mailed out no later than January 31. If you haven’t received these forms by the end of January, you can report the lateness to the IRS, which can then impose a financial penalty on employers and payers who don’t mail the forms on time. There are other types of income that a person can receive as well. For example, if you earned dividends of more than $10, you should receive a Form 1099-DIV; if you earned $10 or more in interest, you should receive a Form 1099-INT. If you withdrew money from a pension or retirement plan, you should receive a Form 1099-R. 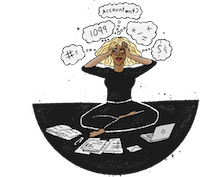 If you have canceled debt, you might receive a Form 1099-C. If you sold real estate, you should receive a Form 1099-S. These are just some of the income reporting documents you could receive that are required to file a tax return. In general, documents needed to file a tax return depend on individual circumstances. If you’re not sure what income has been reported to the IRS and therefore what forms you should have received, you can request your Wage and Income Transcript online or by phone (1-800-908-9946), or by completing the Form 4506-T and mailing it to the IRS. Keep in mind that unless you requested an extension, even if you haven’t received the W-2 or 1099-MISC forms, you’re still required to file your tax return by the due date. The same goes for paying the IRS if you owe money—you must make payment arrangements. Now let’s talk about receipts and how important record-keeping is. If you’re ever audited and unable to substantiate a deduction, the IRS will deny the deduction. 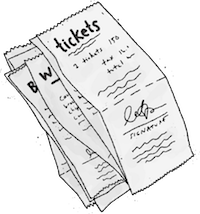 So what receipts should you keep? Every receipt for every expense that relates to your career. Detailed record-keeping is vital to any business. How do you keep up with all the receipts? Start a filing system. Scan receipts into an electronic file program using your phone, computer, or tablet. Manually file receipts in folders. It doesn’t matter how you keep track of receipts, just keep track of them. Though the task can be tedious, doing so is well worth the effort. While you don’t necessarily need your previous year’s tax return to file your current year’s tax return, sometimes it is a good idea to have a copy available, especially if someone else who didn’t prepare the previous year’s return is preparing the tax return for you. If you itemize, you will need to refer to the previous year’s tax return for some information on the Schedule A, and you may need to refer to the previous year’s return to make sure you don’t forget to report something. Basically, it doesn’t hurt to have it on hand. Better to have it and not need it than need it and not have it. What if I didn't make a lot of money this year? Even if you think you didn’t make a lot of money, if the income earned meets the filing requirements, the IRS and state taxing agencies still want their share. Filing a tax return is not a choice that’s up to the individual: The IRS has strict rules in place to be followed when determining whether a tax return needs to be filed. If a person meets the requirements to file a tax return, he or she is required to file, regardless of whether they think they made a lot of money or not. The IRS relies on Section 183 of the Internal Revenue Code when determining what deductions can be taken by an artist. The key question, according to the IRS, is whether the activity is a hobby or part of a legitimate business activity intended to make a profit. The same standards apply whether you’re a performer or create tangible works of art that can be sold. The IRS allows artists four years to earn a profit. If you don’t earn a profit on your artistic activities after the first four years, the IRS may decide that what you do is simply a hobby. Your deductions may be limited to the amount of your income from those activities. Some actors are employees and some actors are self-employed. Self-employed people work for themselves and aren’t considered employees of anyone else. The term “self-employment” falls under various umbrellas. As a self-employed person, you can be considered a sole proprietor (filing the Schedule C), form a single member limited liability company (an LLC, which also files the Schedule C; however, check the box indicating that your business is an LLC), or form an S Corporation or C Corporation. In light of President Trump signing the Tax Cuts and Jobs Act (TCJA), you may be wondering if it makes more sense to register as an LLC, as the new tax protocols seem to be more business-friendly than artist-friendly. That’s something you’ll have to determine for yourself. For example, if you’re an employee and have unreimbursed employee expenses, you won’t be able to claim a deduction for these expenses—which fall under the category of Miscellaneous Itemized Deductions—under the TCJA until at least the year 2025. A tax deduction lowers your taxable income, thereby lowering your tax liability. For tax purposes, “deduction” and “write-offs” are synonymous. Deductions take two major forms: the standard deduction and itemized deductions. The former is a standard amount set by the IRS each year that requires no calculations, no receipts, and no additional forms. Property and supplies used for acting: The cost of video cameras, sound equipment, digital cameras, theater and film books, musical scores, computers, phones, etc. Wardrobe: The cost of any clothing not suitable for streetwear. For example, the cost of a modern business suit isn’t deductible, but an ape costume is. As you can see, actors can claim many deductions the average person cannot, and receipts are a vital part of those deductions. While you don’t need to send receipts when you file your return, they do come in handy when adding up your expenses, and they’re extremely vital if you’re ever audited. If your tax return shows too many deductions that can’t be substantiated, not only will those deductions be denied, the IRS just might impose the accuracy-related penalty—a 20 percent penalty for purposefully understating your income, which can be in the form of overstating deductions. As many have abused these deductions, the IRS scrutinizes returns filed by Schedule C filers, especially actors. Err on the side of caution: If you don’t have a receipt to substantiate a deduction, don’t claim it. The most common and simplest of the IRS audits. The IRS sends you a letter in the mail requesting answers to specific questions or needed clarifications related to your tax returns. You’ll likely have to perform a correction of your tax return that may result in paying more money or receiving a refund for an accounting error. Either way, the correspondence letter will state the reason for the inquiry and often offer a simple resolution via an exchange of papers. If you have data or receipts to back up specific claims, this is the time to send them in to help make your case. This type of audit is usually solved quickly once all the information has been collected. Be sure to keep copies of all correspondence in case anything comes into question again in the future. If the IRS has questions about your return that extend beyond the normal correspondence letter, you’ll receive an invitation for an in-person audit meeting at one of their local offices. This type of audit is a bit more serious than a correspondence audit and requires more of your time. However, an office audit is usually completed within one day, since most information will be supplied on demand, and you’ll have time to supply any additional information that's requested. A field audit is the most serious situation. The IRS will visit your place of business and may look around to verify the legitimacy of your workplace, employees, and other business expenses. In the case of a field audit, it's strongly encouraged that you hire a professionally enrolled agent, tax professional, or CPA to be an advocate for you and your business. They will be able to answer questions on your behalf and ensure you’re getting fair processing. In addition to traditional audits, you may be subject to a random review of your tax situation. The IRS isn’t looking for anything in particular when they perform these random reviews and will simply look at your return for inaccuracies. These reviews are generally performed via a correspondence letter with notice that your account is being looked over. Usually you won’t receive a follow-up letter if the review of the return doesn’t result in any red flags. The IRS tries to audit tax returns soon after they’re filed but can sometimes go as far back as the last three years. If there are additional errors or substantial mistakes, the IRS usually won’t go back more than the last six years. To back up any business deductions, credits, and other income information, it’s recommended that you keep all tax receipts and information for at least seven years. In the case of an asset, save the records for as long as you own the asset, plus three additional years. The best way to avoid being audited is to err on the side of caution. In other words, don’t be overly aggressive when claiming deductions. And if you can’t prove the expense, don’t claim it. While you may have gotten away with it in the past, one of these days the IRS just might catch up with you. Not understanding how IRS “DIF” scores work. The worst that could happen is you can get thrown in jail for tax evasion. While this doesn’t happen a lot, it has happened to a few well-known actors and entertainers. If you don't pay your taxes, you can end up having your bank accounts levied, wages garnished, liens put on your property, and the IRS seizing all your possessions. If you don’t pay your taxes on time, the penalties can also be quite severe. The longer you wait to resolve your tax debt, the more difficult and costly it’ll be. Penalties and interest continue to accrue on your unpaid tax debt until the debt is paid in full. As a taxpayer, it’s important to understand the IRS collection process, as well as your options for setting up a payment arrangement. After you file your taxes, one of several things may happen: you may receive a refund, you may learn you owe money, or nothing will happen. If you realize you forgot to file a form or report some information, you’ll have to file an amended tax return. If you can afford it, the easiest way to make tax season less of a headache is to hire a professional. Ask your actor friends for recommendations—you’ll want to work with someone who has plenty of experience preparing tax returns for actors and others in the performing arts, as they’ll know the ins and outs of industry taxes. 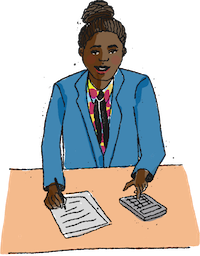 Before hiring someone, ask them questions about what their experience is in preparing tax returns for actors and how aggressive they are with claiming deductions. If a tax professional is out of your budget, consider paying for the premium versions of a tax preparation service like TurboTax, H&R Block, etc. Opting for the premium version will allow you to take advantage of their allowance for itemized deductions, talk to their staff members if you have questions, and sometimes even audit services if it comes to that. You should also be putting aside money throughout the year, particularly if most of your acting work is done as an independent contractor (meaning no taxes are withheld from those paychecks). Putting tax-specific money aside can seriously soften the blow if you end up owing money after filing. You may also want to consider making estimated tax payments throughout the year, which means you are prepaying your taxes.